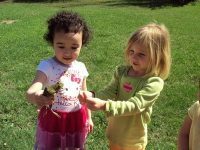 Mountain Road Preschool is the first certified Nature Explore Classroom in the state of Vermont! 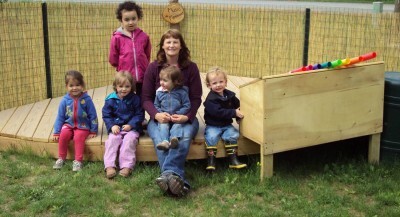 The philosophy of owner/director, Cookie Cummings, is to provide a safe, healthy environment for children to grow. 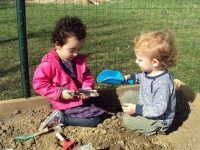 By providing a play-based hands-on learning environment, children can explore freely and expand their knowledge at their own pace and level. 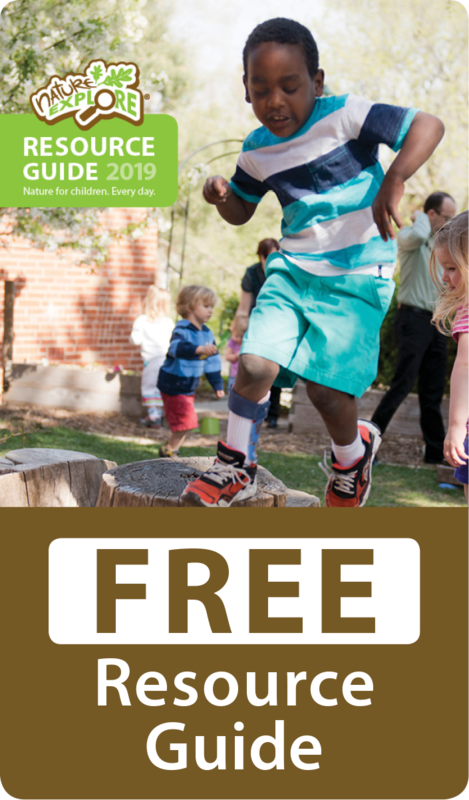 Using the ten guiding principles found in the Nature Explore “Learning With Nature Idea Book” this outdoor classroom was developed to provide just that. Low plant materials, low cedar fences, and logs define each area along with varying ground cover such as mulch, sand, grass and stages. Handmade signs made of large tree cookies have been placed throughout the space to guide children and families. 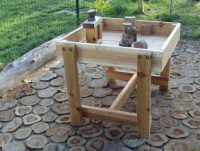 Many natural materials were incorporated into the design to define areas, for climbing structures or seating. A mixture of trees, both deciduous and evergreen and short bushes provide a mixture of color throughout the seasons. A potpourri of sensory smells comes from the herb garden of mint, thyme, and basil. Two raised flower and vegetable gardens and low shrub blueberries allow for harvesting edible plants. 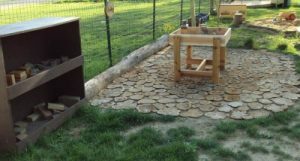 The outdoor classroom was designed to be as low maintenance as possible with materials chosen for long-lasting durability. A water supply is located nearby for watering vegetables, flowers and trees. Separate storage for each area allows easy access and storage of materials. Red maple trees were chosen for shade as well as fall color and many grasses and shrubs were added for a more natural outdoor feel. One of the large vegetable raised boxes actually became a dirt-digging area as the children kept digging in it. So, Cookie decided to go with the children’s lead and incorporated that area as a dirt-digging area. The children love it! The space was designed with personal touches and included children and families ideas and thoughts. Parents were kept informed on plans and ideas through parent newsletters and a bulletin board. 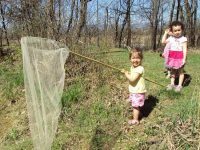 After a Nature Explore Workshop, parents were given more info on the process and how plans were progressing. 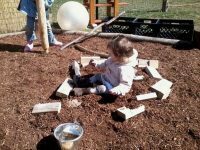 To celebrate Earth Day a parent/family/community workday was held to allow everyone to become hands-on in the design and building of the Nature Explore Classroom. They were able to finish up many of the areas and planted most of the trees, bushes, flowers, grasses and plants. All 10 families helped out in one form or another. 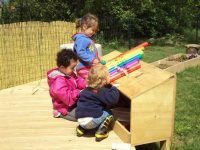 Preschool and Nature Explore Classroom information is printed and shared in the monthly newsletter with pictures and descriptions of children engaged in the outdoor classroom.